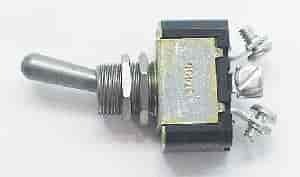 A Premium Quality Toggle Switch! Dedenbear packages the same unit with each delay box. Single pole, double throw (on-on) can be used as normal on-off switch as well. Screw terminals on the back of the switch keep your wires from slipping off. The switch has a 25 amp rating.